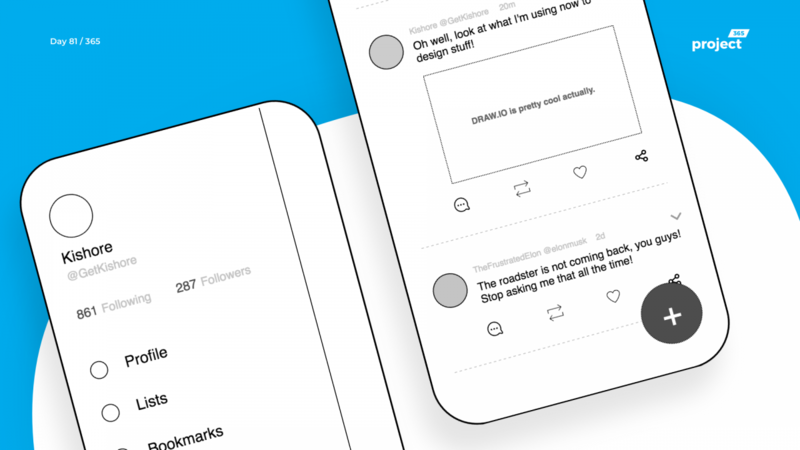 Brief: To design Twitter mobile App with the flowchart creation tool – Draw.io ! 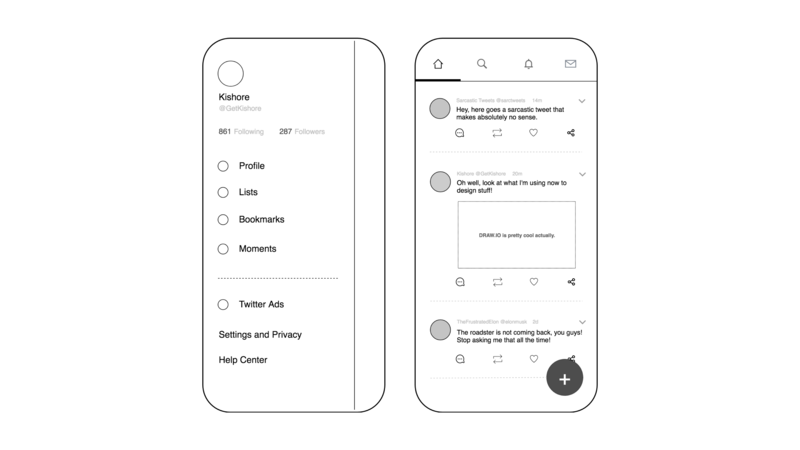 It’s Disruptive Thursday and today’s disruption is to design Twitter App with Draw.io, the tool used to draw flowcharts and stuff. Was quite challenging drawing shapes, typing, arranging and aligning stuff as I was pretty much used to Sketch/Photoshop. Things aren’t as simple when you set out to design on Draw.io. Looking forward to your rebounds of this one. What can you design with Draw.io?